There are six main types of juicers that are available today. They are Centrifugal Juicers, Citrus Juicers, Manual Press Juicers, Single Gear (a.k.a. Masticating Juicers), Twin Gear (a.k.a. Triturating Juicers), and Wheat Grass Juicers. Centrifugal Juicers: Centrifugal juicers are the most affordable and popular choice available to people looking to buy a juicer these days. These juicers use a shredding disc to spin out the juice and a strainer basket to hold the pulp in the machine. Single Gear (a.k.a. Masticating Juicers): These produce less foam, and can be utilized to make baby food, sauces, and sorbets. 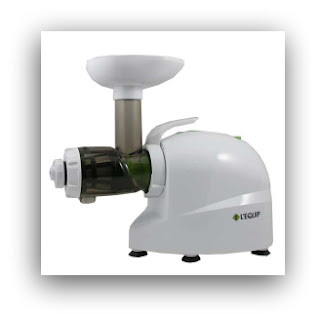 A slow turning single auger is used by these types of juicers to crush the produce into the walls or screen of the juicer. Twin Gear Juicers (a.k.a. Triturating Juicers): These juicers have two gears that shreds, then presses the juice out of the produce. These types of juicers are liable to be more expensive than other types of juicers, but twin gears juicers are the most efficient and can extract larger volumes of juice from fruits and vegetables. If you are likely to be juicing fruit and vegetables in equal quantities, then a centrifugal juicer is your best option and some models also feature attachments that will allow you to juice citrus as well. However, those juicers do not juice leafy vegetables well. For juicing mainly vegetables a single auger juicer would be the best option, but they produce rather thick juice from fruit, almost sauce-like, since they are designed for juicing stalk-like vegetables. The time it will take to clean a juicer after you used it will depend on the complexity of the juicer as the average juicer has between four and seven parts requiring cleaning. This means that while a citrus press can be cleaned with a quick wipe down, a juicer with more functionality will take longer to clean. Also a check should be made as to whether the components are dishwasher safe, unless you are happy to hand wash the parts. The amount of power you need depends on the hardness of the produce you are juicing. The harder the produce, the more power you will need, but anything over 400 watts should be more than sufficient. The stronger the motor is, the longer it is likely to last. Also a check should be made as to whether the motor is guaranteed by the manufacturer. This is dependent on the power of your juicer's motor. The more powerful the motor, the higher the noise levels produced. The importance of this factor is guided by personal preference and your sitation. If you have no one around to complain about the noise and you don't mind the noise, then it is unimportant; but if you mind a loud noise or people around you do, then it is a consideration. But it must be weighted up against the effectiveness of your juicer. Click here to check out the juicers at basicliving.com! This produces smooth, top notch squeeze rapidly and unobtrusively from vegetables or organic product, or without a doubt both together. The pre-clean catch is convenient when exchanging nourishment and can't be tried to clean it first. The Best Outdoor Cooking Set!